The City of Bedford Utilities utility customers now have the option of paying their utility bills with a credit card or echeck over the Internet. Additionally, customers may select to have their utility bills emailed to them as opposed to having them mailed to their address. 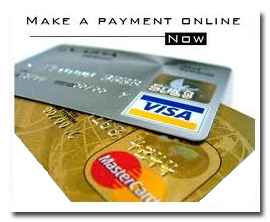 Getting started is easy, just click on the on-line utility payment link. You will need your utility account number and previous utility bill amount to get set up. The City accepts both MasterCard and Visa transactions and echeck directly from your bank account that you control each month. The City’s on-line option will allow customers to view their current utility bill, payment history, and usage history with a click of the mouse. We are pleased to provide this service to our customers. Please contact the Service Department at 812-275-1626 if you have any questions. The City of Bedford Utilities also offers customers the option of paying their utility bill electronically. Funds are transferred from the customer's checking account directly to the City to pay for all services that are on the City's utility bill. Click on the link below for answers to our most frequently asked questions. How can I be sure that the bill was actually paid? Will I receive a notice of payment due from the City of Bedford Utilities each month? If I don't have a check or receipt, how can I prove I have paid my bill? What if the amount of the payment notice from the bank is incorrect or I want to dispute my bill? What if I no longer want to pay my bill by electronic payment? Simply complete the authorization form and return it to the City along with a voided check. This will help ensure that your transactions are appropriately posted. Allow 1 month for processing and withdrawals to start. Continue to pay your bill via other methods of payment until a message appears on your bill showing the withdrawal of electronic payment. The City of Bedford's bank will instruct your bank to deduct the entire amount of your utility bill from your checking account. Your bank will deduct your payment amount and forward the payment electronically to the City of Bedford's bank. If you have questions or concerns regarding your bill or the amount due, you should contact the Utilities Department at 812-275-1626. You must notify the Utilities Department in advance in writing that you want to stop paying your bills electronically.